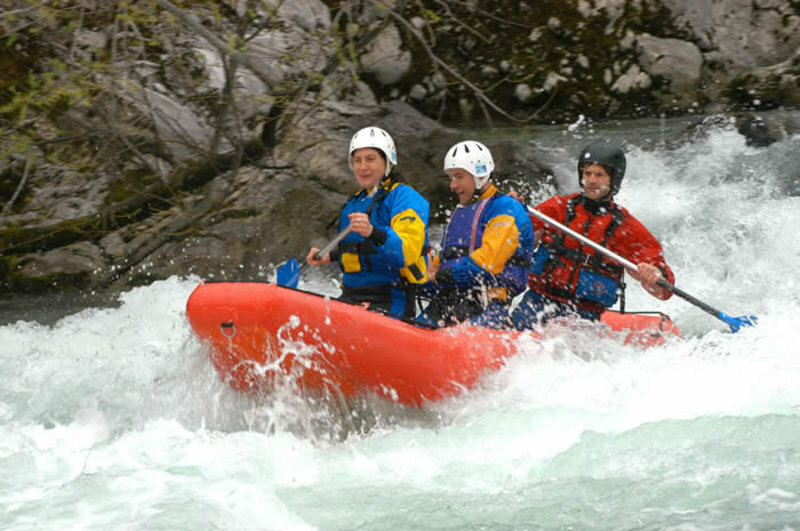 Adventure center Nomad 2000 offers you a full adrenalin challenge: rafting Slovenia on the rivers of Sava Bohinjka, Sava Dolinka, Soča, Krka and Kolpa. You will join us on the exciting rafting tour where you will have a chance to taste the beauty of our nature and land while finding out where are your limits and abilities. For rafting you will need only the swimsuit, a towel and a T-shirt. We will take care of other needed equipment. You will be taken by van to the starting point and back. On your request we can organize additional transfers on the locations, guided sightseeing, lunch or dinner. At the end of your rafting Slovenia adventure we can arrange for you a nice picnic. If you are planning to stay with us several days, we will be more than happy to help you with accommodation. 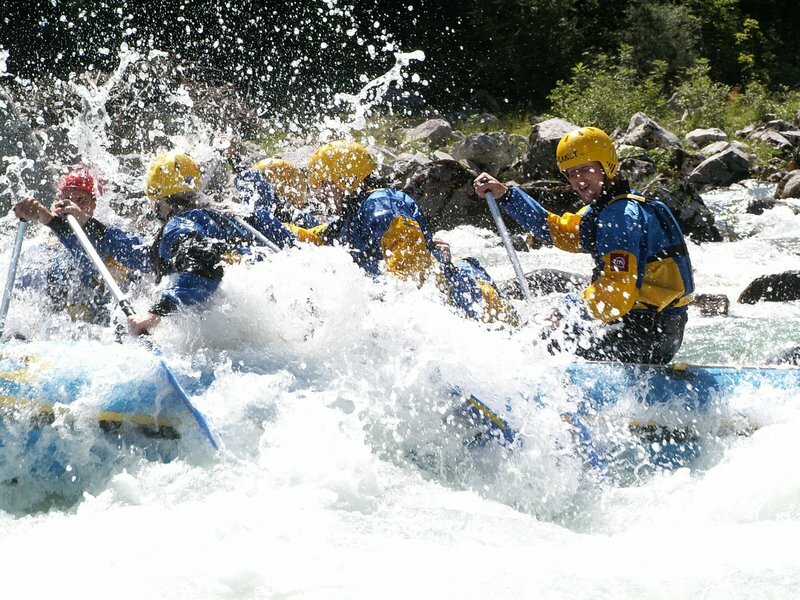 Our starting point is lake Bohinj and we end our standard whitewater rafting on the Sava Bohinjka river in camp Danica. Difficulty rate of the river is from 1 to 2. We will need approximately three to four hours. 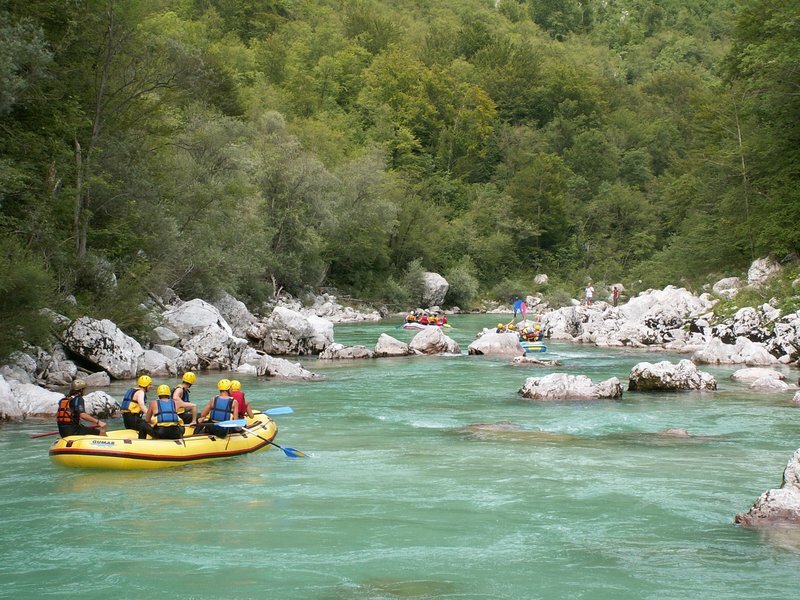 The longitude of the standard rafting Soča – Bovec is 10 km. It is the area from Boka to Trnovo. The first few kilometers are on the easy part of the river. After the first stop we continue with more attractive and adrenaline part. For this trip we will need approximately three to four hours.